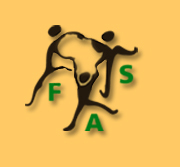 Femmes Africa Solidarité with its partners, having recognised that women continue to be victims in the recurrent armed conflicts in Africa, realised that there was a need to empower them so that they could become active participants in peace building efforts in their countries. To this end, a project called Regional Project for the establishment of the national action plans for the implementation of UN Security Resolution 1325 in the Great Lakes Region was launched between December 2007 and Februray 2008. The project was launched in two of the three targetted African countries – Burundi and Democratic Republic of Congo and not yet in Rwanda. FAS' partners organisations in this project are the Government of Finland, UNDP, the Collectif des Associations et ONGs Feminines du Burundi (CAFOB) and the Vice-Ministére des Droits de la Personne Humaine et du Genre in Burundi, the Ministére du Genre de la Familie et de l'Enfant and Cadre Permanent de Concertation de la Femme Congolaise (CAFCO) in DRC. The project is premised on the need for gender mainstreaming in all aspects of the peace process. Its aim is to advance the interests of women relating to peace and security in conflict areas. The project is expected to contribute to full and equal particpation of women in conflict prevention, management and resolution mechanisms and in the mainstreaming of their practical needs as well as strategic interests in the peace, reconstruction and development process. UN Resolution 1325 has the merit of having addressed for the first time women concerns relating to peace and security, hence the affirmation by the partner organisations that it is a useful instrument in engendering the peaces processes of the three countries. That the process of conflict resolutions in conflict countires requires a participatory and inclusive approach in the development of women-centred national policies and programmes, is not in question. Thus, there is a requirement for national action plans to be conceived in a consistent and realistic manner relative to gender-based concerns. The project hopes to engender the formulation and implementation processes of the action plans from country policy-makers to all other national and international actors whose contribution in terms of political commitments, funding, training, advocacy and lobbying remains of the utmost importance in the application of 1325. This is a subregional project and includes Rwanda and it is envisaged that similar activities will be launched in Rwanda during 2008.